The results of a recent study could bring great change to the status of HDL-cholesterol: researchers have discovered that the supposedly "good" HDL cholesterol may also be "bad" and might even heighten inflammatory reactions. There has until now been a general distinction made between “good” HDL cholesterol and “bad” LDL-cholesterol. “One talks of a positive HDL level with respect to elevated cardiovascular risk when this measures over 40 mg/dl (for men) and above 45 mg/ dl (for women),” says researcher Dr. Marcus Säemann. In contrast, patients at risk are supposed to have “bad” LDL levels below 100 mg/ dl, for higher-risk patients (ie. with diabetes and CHD) the level should be below 80 mg/dl. 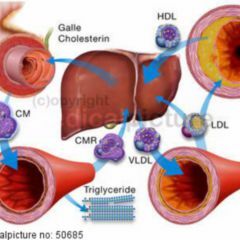 This follows the reasoning, that LDL contributes to cardiovascular diseases such as heart attack and cerebral hemorrhage while “good” HDL cholesterol protects against them. Now experts at the Medical University of Vienna have learnt, that in patients who undergo dialysis anti-inflammatory effects are not provided by HDL. “Rather, HDL repeatedly increased the inflammatory response and could thus explain latent chronic inflammation that is associated with a high cardiovascular risk,” says Säemann. In a detailed study of HDL in patients on dialysis – thus people with impaired renal function – it was found that a particular molecule, the so-called serum Amyloid A (SAA), which is produced in the liver, was significantly increased in these patients. SAA is a very likely cause of the defect in HDL. “If SAA is inserted into healthy HDL, it also becomes incapable of functioning”, says Dr. Thomas Weichhart. “In patients with renal failure we have also discovered a few other molecules in HDL which are absent or barely found in healthy people, and for that reason we are trying to test them as a possible prognostic marker,” adds Säemann. This discovery could change the assessment procedure for HDL cholesterol. Until now, a high HDL level has been considered optimal because it prevents or hinders development of atherosclerosis, something which has been able to be convincingly shown in all large-scale studies. 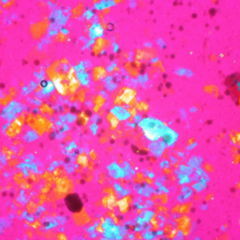 “More important than the quantity is obviously the quality of the HDL. 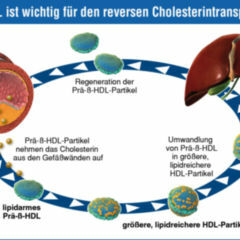 Non-functional HDL cholesterol is worthless – even having high HDL levels would not be healthy any more,” adds Weichhart. Another finding: “The lowering of the LDL value is therefore always more important than raising the HDL value,” says Säemann. Nevertheless, it is currently not possible to identify “bad” HDL quickly with simple tests. The development of such tests is being worked on by the two researchers at present. They have obtained, together with the Medical University of Vienna, a patent in order to be able to determine the changes in HDL using a simple laboratory test to better estimate the risk for future cardiovascular disease – and to intervene therapeutically sooner. In recent years, for some diseases – such as coronary heart disease (CHD), diabetes mellitus or rheumatoid arthritis – it was able to be demonstrated that each disease apparently possesses its own characteristic HDL. Furthermore, some of the newly discovered proteins found in HDL of patients with renal impairment also occur in HDL derived from cases of these above-mentioned diseases, where HDL similarly loses its anti-inflammatory and vascular protective properties. “We have recognised specific proteins in the HDL of patients with renal failure, which occur either exclusively or are strongly increased in HDL of patients with renal failure. We want to, without costly and time consuming HDL isolation, by means of direct detection of proteins in serum or plasma of high-risk patients, determine the risk in quantitative terms, (Ideally this will employ ELISA enzyme-linked immunosorbent assay: a method using antibodies of a protein for quantitative evidence) in order therefore to be able to make forecasts and stratifications (estimating the risk associated with the progression of the disease) for cardiovascular risk at the individual level”, says Säemann. With the new laboratory test, research can be done in determining whether altered HDL in patients with kidney failure at an earlier stage of their disease goes hand-in-hand with a poorer prognosis, and whether this applies also to those patients who for instance suffer from diabetes, or had a heart attack. 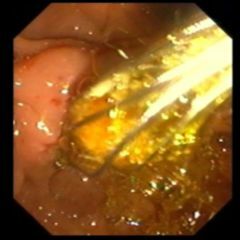 Therefore it would be possible in principle using a simple test to intervene therapeutically at an early date, thus crucially alter the overall prognosis, according to the Medical University of Vienna researchers. “The determining of HDL levels alone is not enough for a prediction of cardiovascular risk, whereas its quality or composition is relevant in this matter. A second important point: apparently the “good” HDL cholesterol serves as a major anti-inflammatory molecule in a healthy person; if it loses this characteristic, this would explain why patients with renal failure often carry on-going infections, which is bad for their survival prognosis”, Säemann concludes.